The Russian Foreign Ministry announced on Saturday that Hollywood action star Steven Seagal would be the country's new representative for Russian-US humanitarian ties, according to Reuters. The role was designed to "deepen cultural, art and youth ties" between the two nuclear superpowers. 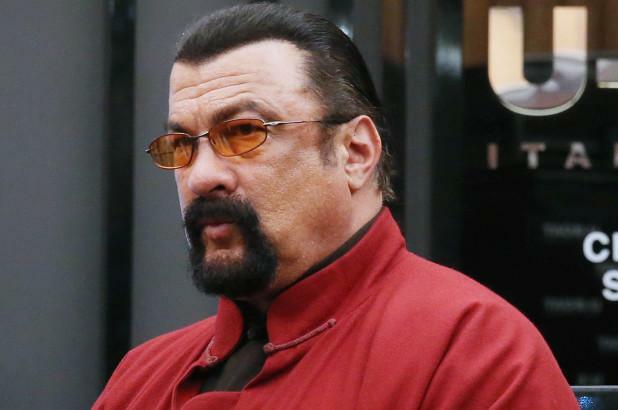 The Russian Foreign Ministry likened Seagal’s new role to that of a U.N. goodwill ambassador and said that the actor, who is known for his martial arts prowess, would receive no salary. US-Russia relations have been under seige since Russian President Vladimir Putin made the executive decision to annex Crimea in 2014 - stoking tensions with the West, which claims the Russian president acted above the law. Out for justice, the US and others imposed harsh sanctions against Russia, while the Ukrainian army has found itself on deadly ground facing off with Russian forces throughout the disputed region. Last year, Seagal was banned from entering Ukraine for five years, after the Ukrainian security service (BSU) deemed him a security threat and placed him on a blacklist. No word if he was marked for death by an attack force, or if they just don't like a guy who was born to raise hell. We're sure he would have received the maximum conviction had he set foot in the country, but for now he remains out of reach and hard to kill. 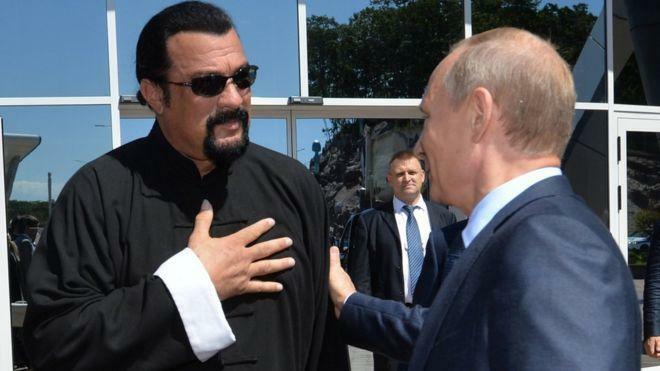 In 2016, Putin presented Seagal with a Russian passport - while apparently finding something humorous during the ceremony, an exchange which was clearly a big moment for Seagal.